The shortlist for this year’s APRA AMCOS’s Song of the Year is certainly a diverse one. Announced this morning, it represented everyone from high flyers as Dean Lewis, Courtney Barnett, A.B. Original’s Adam Briggs & Daniel Rankine, Baker Boy, Amy Shark, Paul Kelly, John Butler and The Living End to fresher faces as Grammy-nominated Sarah Aarons, Mojo Juju, Kaiit, The Teskey Brothers, King Gizzard & The Lizard Wizard and Ziggy Alberts. The APRA Music Awards are staged in Melbourne this year, on Tuesday, April 30, and also announced Kate Miller-Heidke as their music director. She will conduct the orchestra that reinterprets some of the nominated songs on the night. The final five are unveiled next month. The 2019 awards are the first under APRA AMCOS chief executive Dean Ormston. “The APRA Music Awards have evolved a great deal since we last held the event in Melbourne in 2013, “ he says. “So I’m thrilled that this year we’ll be presenting our very special night in such a fantastic music city and at the venerable Melbourne Town Hall. 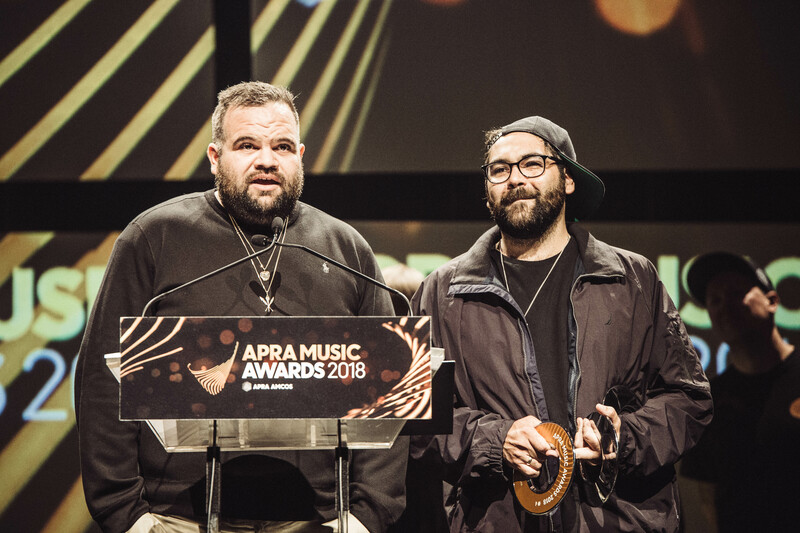 All APRA songwriter and publisher members who voted for the Peer-Voted APRA Song of the Year were automatically placed into the draw to win a $5,000 suite of prizes. These included a Levi’s® voucher, Jands microphone package compliments of Shure, studio session time at Sing Sing East Studio, a Showgroup Travel voucher, Chugg Entertainment concert tickets, accommodation in Ovolo Hotels and two tickets to the 2019 APRA Music Awards. The shortlisted playlists can be streamed on Spotify and Apple Music.